What did the early Beatles mean to America? They were about joy, excitement, and pleasure. It was less than three months after the Kennedy assassination. 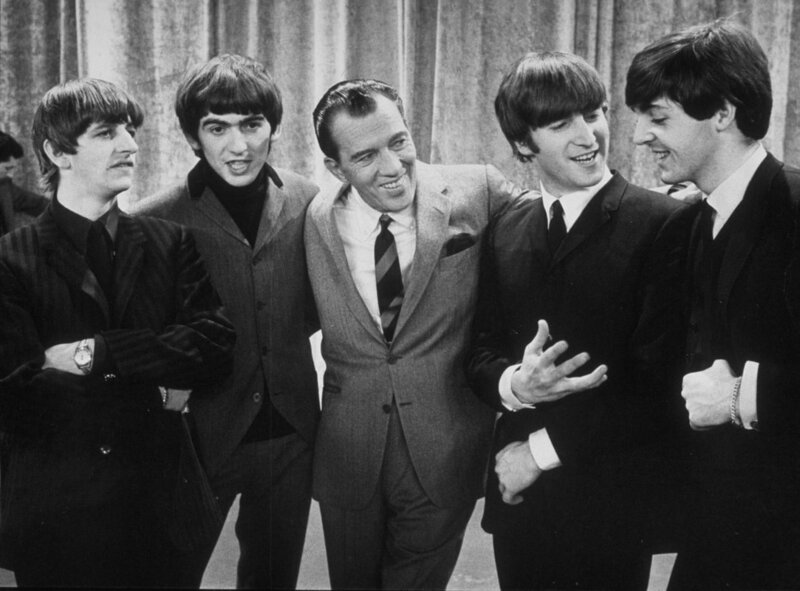 Just to briefly buzz in on this weekend's whir of nostalgia around the 50th anniversary of The Beatles' first appearance on The Ed Sullivan Show: As many have noted, it was less than three months after the Kennedy assassination, bringing across the Atlantic a whiff of much needed fresh air, a reacquaintance with joy we all had been craving since November 22, 1963. ​The Beatles were simply the biggest thing in the world, short of nuclear fear. They represented a sea change -- in music, in culture, in democracy itself. They weren't always comfortable with having that effect. 'People said the Beatles were the movement,' Lennon later said, 'but we were only part of the movement. We were influenced as much as we influenced.' True, but the Beatles were a key part of that movement. They represented youthful hope, and they represented the new social power that rock & roll might achieve -- a power not only to upset but to transform. The world was changing -- or at least it felt that way -- and the Beatles served as emblems of that change. Youth is life as yet undimmed by tragedy. And the finest flower of youth it to know the lesson in advance, undimmed. ..and life undimmed by tragedy. Upon a Wheel of Cloud." They became metaphors for a playful way of being. ​Gilles Deleuze credits Whitehead, like the Stoics and Leibniz before him, with inventing a mannerism in philosophy, a way of thinking “that is opposed to the essentialism first of Aristotle and then of Descartes” (Deleuze1993, 53). A philosophy of processes and events explores manners of being rather than states of being, “modes of thought” rather than any supposed essence of thought, and contingent interactions rather than unchanging substances. It focuses, you might say, on adverbs instead of nouns. It is as concernedwith the way that one says things, as it is with the ostensible content ofwhat is being said. Even if the facts, or data, have not themselves changed, the manner in which we entertain those facts or data may well change. “In fact,there is not a sentence, or a word, with a meaning which is independent of the circumstances under which it is uttered” (Imm 699). It all comes down to the aim of the living occasion in question, which Whitehead defines as the mannerin which one particular “‘way of enjoyment’ is selected from the boundless wealth of alternatives” (MT 152). A mannerist philosophy has to do with the multiplicity and mutability of our ways of enjoyment, as these are manifested even in the course of what an essentialist thinker would regard as the "same" situation. But don't call them cute. They were about joy, excitement, and pleasure. ​They're mild compared to what we can hear today, but in 1964, these were unambiguous musical emulations of sexual climax, aimed smack at a teenage audience, which did not miss the point. And it's true that all this wasn't seen as subversive yet. That would take another year or two, when the disease hadn't abated but, rather, metastasized and started taking over the culture, becoming dangerous. But just because it wasn't seen as subversive doesn't mean it wasn't subversive. The 1964 Beatles may not have been overtly anti-authority, but covertly, they certainly were. They were even, in their way, political. Their platform? Joy, excitement, pleasure. Within their aura, the future — that distant and sober thing for which the young people of 1964 were supposed to plan, so they could inherit the responsibility of upholding the greatest way of life the world had ever seen — evanesced. That fact alone made many in the establishment nervous, and rightly so. So celebrate this anniversary, but celebrate it the right way. Don't call them cute. -- Michael Tomasky is a columnist for the Daily Beast and editor of Democracy: A Journal of Ideas. This is from an opinion article in the LA Times. ​The notion of life implied a certain absolute of self-enjoyment...The enjoyment belongs to the process and is not characteristic of any static fact. In performing on Ed Sullivan, they presented the process of self-enjoyment in the very act of affecting and being affected by others. The possibility of play is politically subversive. It gives hope. occasion must “be understood without reference to any other concurrent occasions” (151). Don't we all need metaphors to live by? ​The Metaphor Maker is the story of a young woman in search of "a metaphor to live by." Spring 1968. Berkeley anti-war activist and would-be poet Madeline Prescott embarks on an inner quest: a spiritual journey born out of grief for a brother lost in war, a country whose leaders are cut down by violence, and a family torn apart. In a coastal town bookshop filled with odd and comforting characters, Madeline finds a temporary nest in which to heal, re-imagine hope, explore romantic love, and discover her own poetic voice. Madeline's quest is set in one of the most turbulent times in American history, when middle-class youth felt more passionate about ideas than financial success. Philosophy was in vogue; poetry was everywhere. Women were just finding their voices. The Metaphor Maker ultimately portrays the power of empathy, hope, and generosity of spirit in a pluralistic, rapidly changing world.